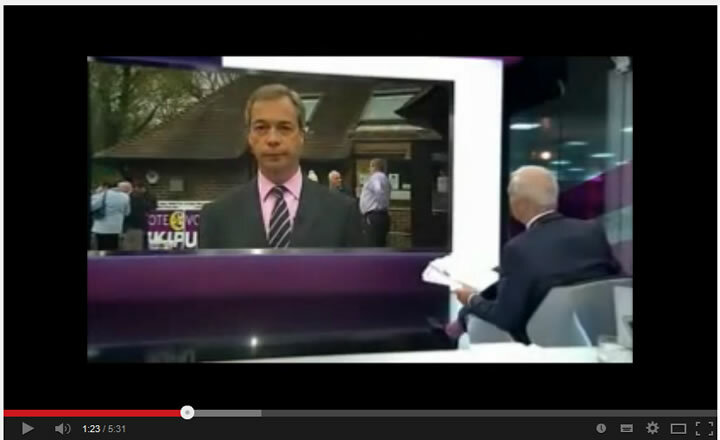 Channel 4 News Vendetta Against UKIP Backfires, Brit's Don't Like Bully's! UKIP politicians and candidates have been literally hounded for over a year. Whilst most viewers enjoy the usually slimy and slippery politicians being held to account by veteran broadcast journalists such as Jeremy Paxman. However where UKIP is concerned, and by Channel 4 News in particular, the mainstream media have gone too far, where tuning into Channel 4 News virtually every other day reveals an usually inexperienced UKIP candidate being goaded into a particular response by a smug faced Michael Crick or Krishnan Guru-Murthy amongst others. 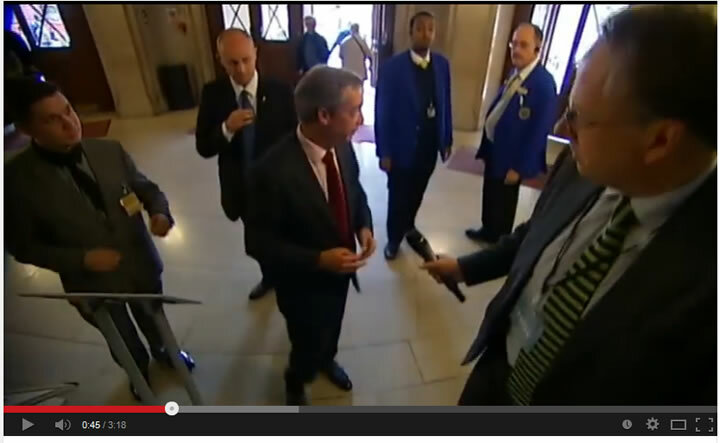 Watch the example of the media, Channel 4 goading UKIP's Bloom into losing his temper for the camera's. 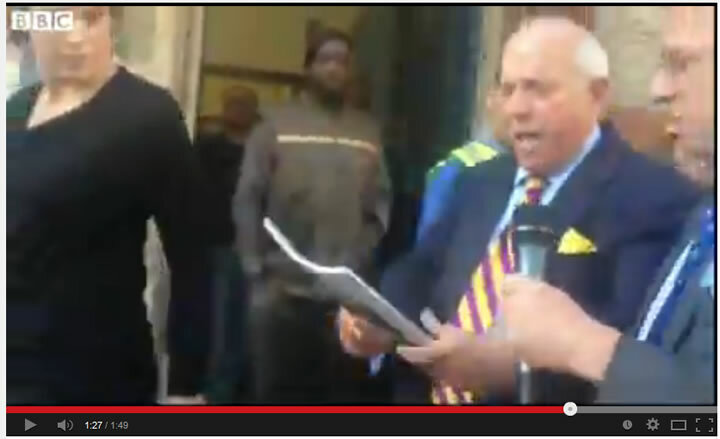 More of Channel 4's Michael Crick trying to agitate UKIP party members at their 2013 conference into making another story out of nothing. 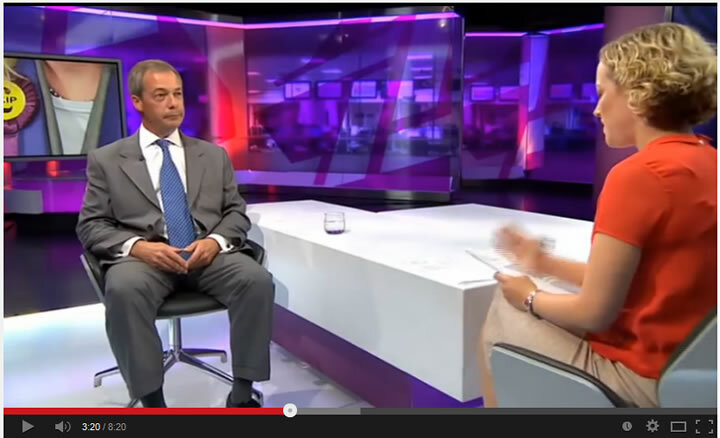 Not leaving out Ch4 news's Cathy Newman's another failed hatchet job on Nigel Farage. It may have seemed amusing at first, but one thing the smug Channel 4 news presenters appear to have forgotten is that the British people do NOT like a bully! And hence all of the smug centred attempted hatchet job reporting has backfired badly if the intentions of the likes of Channel4 establishment reporting was to ridicule UKIP into election obscurity. Instead the exact opposite has taken place where for the first time in 100 years a third party beat both Labour and the Conservatives in a national election. UKIP trounced both major parties by coming first in the european elections winning 24 MEP's, Labour second on 20, and Conservatives third on 19 with the Liberal Democrats being all but wiped out left with just 1 MEP clinging onto his seat by his finger nails. Whilst many if not most journalists expect the UKIP result to be a flash in the pan with expectations that virtually all of the 27.5% of voter share to evaporate by the time of the next general election as has taken place several times in the lead up to preceding General Elections. However, now UKIP has a local activist base courtesy of its new 150 councilors, and 24 MEP's around which the party can mobilise to seriously target 30-40 parliamentary seats that it actually could win. Whilst, this will still mean that at least half of the share of the vote will still disperse to primarily the Conservatives to keep Labour out. However even as little as 12% share of the vote will be enough to win a dozen or so MP's which will be enough to make a significant impact in the event of another hung parliament, especially as Labour only has a slim lead of just 1% over the Tories at the start of the general election year i.e. nowhere near enough to win an outright victory by the time of the next general election. General Election Forecast 2014 - Stealth Conservative Victory? Whilst the Labour elite may be congratulating themselves on polls that suggest that Labour could win a 70 seat majority, however the underlying fundamentals of an fast accelerating economy are likely to result in the exact opposite outcome by the May 2015 general election than that which the journalists / political commentariat are liberally regurgitating at length today. Therefore today's media coverage of Labour's prospects and the Conservatives european election third place belies the probable reality of a stealth Conservative election victory that will take many by surprise, just as had Major's 1992 election victory when virtually everyone had been expected Kinnocks Labour party to win. At worst, depending on how well UKIP actually do at the general election i.e. if they are able to translate their then 12% of the vote into actual seats as many UKIP voters will likely vote tactically to keep Labour out, then we may end up with a Conservative / UKIP Coalition government, which at this time remains a low probability outcome as UKIP despite their current strong showing will be lucky to even win 10 seats next May.